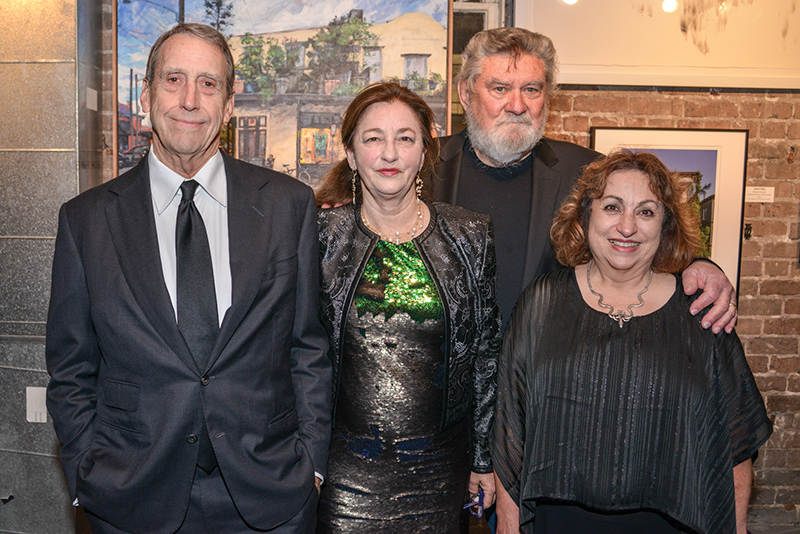 The Ogden Museum of Southern Art recognized Honorees Coleman Adler II and John Alexander. “O What a Night!” offered 500 attendees a festive opportunity to celebrate the Tricentennial and highlighted the important mission of The Ogden Museum of Southern Art: to broaden the knowledge, understanding, interpretation and appreciation of the visual arts and culture of the American South. The evening also offered tributes to Honorees Coleman Adler II and John Alexander. Coleman Adler II, CEO of Adler’s Jewelry and Member of The Ogden Museum Board of Trustees, has been a valued source of advice and support for the museum since its inception. Internationally recognized artist John Alexander, whose work is a contemporary embodiment of the natural South, has been added to the permanent collections of many museums, including the Ogden. A Patron Preview Party was held on Thursday, October 18 at the home of Troy Scroggins and Keith Malvitz. Guests were able to enjoy cocktails and hors d’oeuvres, mingle and preview the gala’s 21 live auction items. Prior to the gala, guests enjoyed a cocktail hour in the Patrick F. Taylor Library, which additionally provided a preview of the 67 silent auction items. The gala took place in a tent outside the museum with decor provided by Ware & Co. The walls were lined with silver drapery to contrast the powder blue tablecloths, contrasting with dark blue and purple lighting and white flowers and succulent vases from Pick-A-Petal. Hors d’oeuvres were provided by chefs Kristen Essig and Michael Stoltzfus of Coquette, with dinner by chef Justin Devillier of La Petite Grocery and Balise. Musical entertainment was provided by Jeremy Davenport, Blue Earth Productions Presents D Play Band and Trendafilka. The event was Chaired by Charles Urstadt and David Bernard, along with Christa and Matt Schwartz.